There are days where we experiment an intense heat. It can be because of the summer or maybe a heat wave is attacking your town. The fact is that in those days it can be pretty uncomfortable to do a lot of things and the sweat and corporal odors make everything worse. Its is during those moments that we pray for something to cool us and take away the heat. Well, we can easily purchase a device that will make that happen. Cooling fans are incredibly useful devices for several reasons; they pack in a simple and portable way a lot of cooling power and for a low price and power consumption. All of these characteristics make cooling fans for rooms, a great way of providing your rooms with a cooling breeze. But choosing the right cooling fan for rooms is not always an easy choice, we have to take into consideration the fan size, its power and the noise it makes. It is a small fan good enough for my medium or large room? Will a large fan be an overkill for my little room? Can a loud fan disturb my work and concentration? 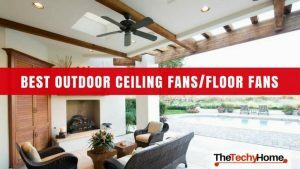 All these questions can be easily answered by examining the best cooling fans for rooms out there and checking their characteristics and see if they fit our necessities. Every year, new and updated cooling fans for rooms are brought into the market; companies improve upon their existing technology, maybe by reducing noise or increasing cooling power without increasing size. Cooling fans companies keep competing each year and bringing better and better products to the table. With that in mind, we can take a look at the best cooling fans for rooms, and search for the cooling fan that better complies with our needs. Here we present the 7 best cooling far for rooms, in our opinion and in no particular order. The Lasko 3300 20” Wind Machine is a perfect choice for medium and large rooms and is one of the best room fans. With its 20” inch fan and three high-performance speeds, it has the power necessary to cool down medium rooms and most large rooms. One of the best features of this cooling fan for rooms is that although it has a 20 inches fan, it stills is pretty light and easy to transport, weighing just over nine pounds it is lighter than a lot of cooling fans out there, moreover if we take into account potency. This fan also has a convenient handle to carry it around, further supporting the portability aspect of the device. Another great feature is that this fan has a special safety feature built directly into its plug, and it will prevent damage in case of power surges or other kinds of electrical issues. In other fans, you may need to buy a protector separately, but that is not the case with the Lasko 3300. 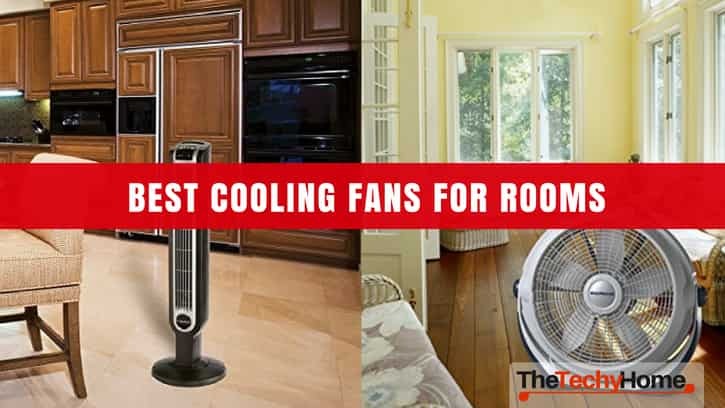 If you are looking for a powerful cooling fan that can cool down the majority of rooms and can cool down medium rooms for sure, but at the same time is easy to carry around, so you can quickly set it up in different rooms, the Lasko 3300 is a perfect fit. If you are looking for a small cooling fan that packs a punch, look no further. 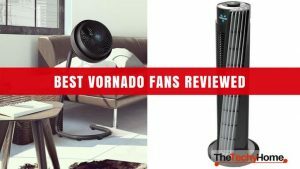 The Vornado 630 can move air up to 70 feet, which is an outstanding feat considering the fan size and price. This circulation power comes from the innovative design of the blade and an incredibly refined energy use, which helps to eliminate any hot spot in a room. 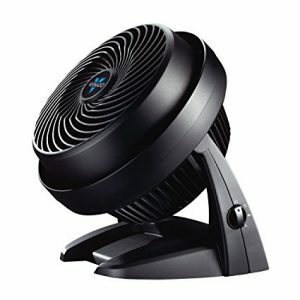 All of the Vornado 630’s features make it the go-to cooling fan for small and medium rooms, its potency guarantees that the room will be cooled down, and its whisper quiet level will ensure that the room won’t be disturbed by loud noises, which is a common problem in fans with similar potency. Some of its more special features are its three different speeds and its routable head, its portability, and the 5-year warranty provided by the manufacturer. The ideal spots for this fan are bedrooms, offices or even a kitchen. If you’re looking for a fan that will solve your heat problems in this type of rooms, this cooling fan will have you covered. Sometimes we need a fan that doesn’t take up much space and that is very quiet at the same time. We need the space in our room to be undisturbed, and choosing the right cooling fan for this scenario can be pretty difficult. But there exists a cooling fan perfect for this case, and that is the Lasko 2511 Tower Fan. It is one of the quieter cooling fans on the market and because it is a tower fan it doesn’t take up a lot of space, which makes it great to overpacked rooms or rooms that we need to stay almost exactly as they are right now. This makes it great for bedrooms, nurseries, and offices, where we need a quiet operation. 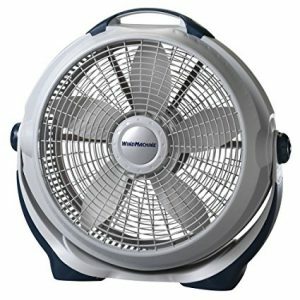 As many other cooling fans the Lasko 2511 provides us with three different fan speeds, it has an electronic digital display and comes with a remote control, all features that make it easy and convenient to handle. This model has a safety feature incorporated in its plug to protect it from power surges. Maybe you are looking for something more personal, something small and portable that is capable of cooling you personally without taking up much space. 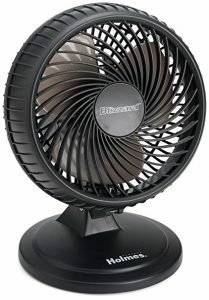 In that case, you can look up the Honeywell HT-900 Turboforce, a cooling fan that is just about 11 inches in its entirety, which makes it perfect for a tabletop fan, an incredible option to use it over a desk, for personal cooling purposes. 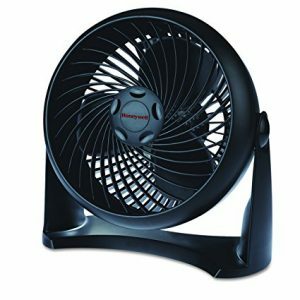 As with many other cooling fans, we find that the Honeywell HT-900 features three different fan speeds, but it also provides a pivoting head, with a range of 90 degrees, which permits us to easily adjust it. And with a one year warranty from the manufacturer, we can easily say that this cooling fan is in the top of the personal cooling fans that are on the market this year. If you need a personal cooling fan to work on your desk or something similar, the Honeywell HT-900 turboforce is a great option, it will be very difficult to find a fan that better complies with this particular scenario’s needs. Some people feel that the typical settings of three speeds that most cooling fans have aren’t enough to cover all the possible speed that a fan can achieve, thus limiting the personalization capabilities of the device. So, they look for cooling fans that provide a wider range of speeds, so they can adjust it more precisely in a variety of scenarios. But at the same time, they don’t want to sacrifice quietness in favor of speed variety, so they still want a quiet cooling fan. 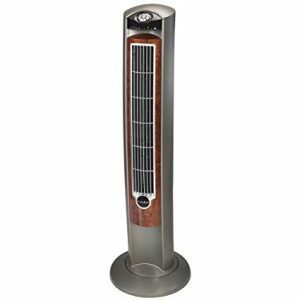 For them, Honeywell presents the HY-280 Quiet Set, a tower fan that is incredibly quiet, to some, the quietest tower fan or cooling fan out there, and features an astonishing eight-speed setting. This makes it one of the more versatile cooling fans in the market, moreover, if we take into account that it has a thermostat option, which will further help you to select the most comfortable temperature. For people that look for a cooling fan that has a fresh air ionizer setting built in Lasko presented the Wind Curve Fan. This is a tower fan that can easily fit in any small place, like corners, which makes it ideal for small rooms or rooms that are crowded with furniture or other stuff. The most important feature of this cooling fan is, of course, its fresh air ionizer setting, which will help you freshen stale air and combat unpleasant odors. But it also features a three different speed setting and shut off option, to save energy. Few cooling fans can provide you with an option to improve the quality of the air in the room that they operate, but the Lasko Wind Curve Fan was specifically designed for this purpose, which makes it the perfect fit for people that are looking for this kind of feature. You can expect a nice and powerful cooling fan, like the rest from this list, but with the added bonus of the fresh air ionizer. We already discussed a cooling fan designed for personal cooling purposes, but what if you want an even smaller cooling fan? A fan that takes the minimal amount of space possible from your table? That cooling fan exists and is the Holmes Lil’ Blizzard. With its 8 inches it’s a pretty small cooling fan, but don’t let its size deceive you, this cooling fan packs a punch, and is a great option for compact spaces. Among its features, the Lil’ Blizzard has a two-speed setting, an oscillating fan, and an adjustable head. Providing a lot of personalization and wide coverage, for a cooling fan of this size. Finding its perfect place atop a desk or table, this fan can be the perfect fit for those who look for smaller options, but also have great cooling capabilities. We can see that between the 7 best cooling fans we have a variety of cooling fans, which can be useful in a myriad of scenarios. In this list, we encompassed the best cooling fans for each of those scenarios so you can choose the best fit for your necessities. When looking for the best cooling fan for a bedroom we have to take into consideration several things. First, we need power, we need a cooling fan capable of effectively circulate the air in our bedroom and make it more comfortable. We also look for a cooling fan that isn’t loud, we need something quiet that doesn’t disturb us while we rest or sleep. And finally, we ideally want something that doesn’t take up much space, because probably we have a lot of other things in our bedroom. Taking into consideration all of those aspects, if we have to pick the best cooling fan for a bedroom we have to pick the Lasko 3300 20” Wind Machine. As we stated above this fan has a lot of power and is still easy to transport, right there we cover two of the main aspects of a great bedroom cooling fan. And as to quietness it refers, the Lasko 3300 is definitively in the quieter side of the spectrum when we take into account its potency. These characteristics make it the perfect fit to provide cooling in a bedroom. And another thing to take into account is the quality of the product, which give us the guarantee that we will have it running for several years without any problems. There are scenarios where we need absolute quietness so we don’t disturb the tranquility of a room if we want the definitive quiet fan we have to take into consideration that to provide us with quietness, a cooling fan often has to sacrifice potency. But there is still possible to achieve a balance between a really quiet cooling fan, and enough potency to comply with our cooling needs. In this regard, the Honeywell HY 280 is definitely on of the best quiet tower fans out there. It is not only the very quiet but it also has a considerable amount of potency, and with its eight-speed setting; it can achieve the true personalization that a person looking for the quietest cooling fan, really wants. On top of that this QuietSet also offers a thermostat option, further improving its cooling personalization capabilities.